Now celebrating 12 years on the air, WRCJ 90.9 FM and HD-1 is a listener supported classical & jazz music public radio station licensed to Detroit Classical and Jazz Educational Radio, LLC., and managed by Detroit Public Television and the Detroit Educational Television Foundation Board of Trustees. The station is located inside the Detroit School of Arts, a public high school training young people for careers in performing, visual and media arts. WRCJ broadcasts classical music from 5 am to 7 pm each day and jazz overnight. Dave Wagner is the program director and on-air host during the morning and afternoon drive times. Detroiters Maxine Michaels and John Penney play jazz on Friday and Saturday nights respectively. Jazz overnight weekdays is brought to you by Jazz Network hosted by Dave Schwan, John Hill, Neil Tesser and Dee Alexander. 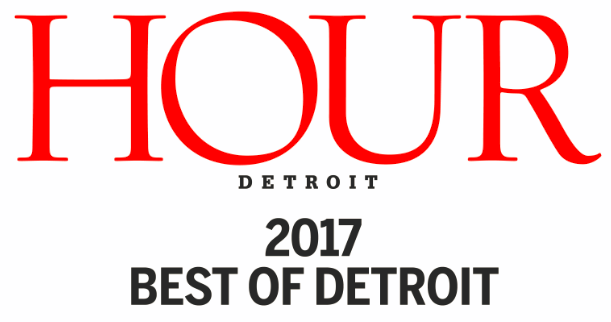 Hour Detroit has honored WRCJ-FM for “Best Playlist” four years in a row; and named Dave Wagner “Best Radio Host” in 2015. 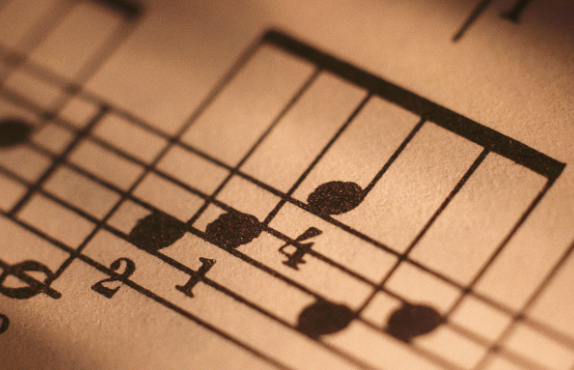 WRCJ receives no ongoing funding from the State of Michigan, City of Detroit or Detroit Classical and Jazz Educational Radio, LLC. The primary source of our annual operating budget is voluntary contributions from listeners like you. Thank you! WRCJ 90.9 FM is a 501 (c)(3) organization located at 123 Selden St., Suite 250, Detroit, MI 48201. 313.494.6400 or 90.9@dptv.org. Connect with us on Facebook. Dave Wagner was in rare form this morning! After the Jurassic Park theme and the Let in the Clones comment, I haven’t stopped smiling all morning! Thanks for the morning drive-time laugh! Love hearing Kol Nidre now (Tuesday, November 13, around 5:30). Thank you. The only thing that could improve on this is to hear it closer to Rosh Hashanah and Yom Kippur. Can you please tell me the playlist for Sat November 10, 2018. Between 11am to 12pm. There was a fantastic piece I’d like the name of. Please tell C. Sharp that on the Monday show a couple of weeks ago, when she was doing ballet in the studio to one piece, I was doing as much dancing as I could while driving. So her confession led to a BIG smile on my face for not being able to resist either. Ok, Sherry will do. Be careful dancing and driving. Maybe just stick to upper body dancing. When I was driving along I94 last week, 17th or 18th, I think, when Dave Wagner was host, I got into something just after the beginning and really enjoyed it, even though it was modern. It turned out to be something like a Flourish for the City of Bristol on the 600th anniversary of the granting of its charter by Malcolm Arnold (Malcolm Arnold was the composer; Edward III granted the charter) or somebody like that. I looked on your playlists for the two days but could find nothing that sounds like it. The University of Michigan Music Library has no recording of it, so I wonder what you played, i.e., proper title, name of orchestra and conductor, record company, etc. Thank you very much, and thank you for your wonderful programming. I LOVE MSU In Concert. What a great show. Is it only on for an hour on Saturday mornings? I could definitely listen a longer show. It is just amazing! Hi Liz, yes sadly only an hour for now but we can mention that to the MSU folks. We are pleased to hear you are enjoying it! Our daughter was born in January and we have had WRCJ on basically 24 hrs/day…raising her on the good stuff! Thank you for playing formative, quality music with hardly any interruptions. In a world of so much garbage media, it is such a blessing to have WRCJ. Thank you!! Yes, raise her on the good stuff! Congratulations on your new addition and thanks for listening! Oh hi Frank, welcome! We try to have a nice mix, a little something for everyone. Enjoy and thanks for listening! I WAS DRIVING AND COULDN’T WRITE THE INFO….WHAT SONG WAS PLAYED TODAY (NOV 3OTH) AT ABOUT 8:20 AM…….starts off with bagpipes and then transitions to singers singing Amazing Grace ?? I LOOKED AT THE PLAYLIST AND COULDN’T COME TO GRIPS WITH THE TITLES VS. WHAT I HEARD (which could show an AMAZING lack of knowledge on my part). PLEASE HELP!! It as was a moving piece as I was driving downtown into a beautiful sunrise . That was “Amazing Grace” performed by the Mormon Tabernacle Choir from their album “Come, Thou Fount Of Every Blessing”. We hope you enjoyed it (and the sunrise). Can you play some Tony Bennett ? Hi Andrew, we will suggest that to our Jazz hosts. Thanks for listening! What happened to the individual who did the traffic and news on WRC ? Tony B??? Hi Don, Tony was just on vacation briefly. He has returned! Re: C. Sharp hosting for the wireless: ABSOLUTELY FANTASTIC on all levels. I have heard her previously and I am always amazed at her effervescence. She is enthusiastic, spontaneous, and cheerful. Her uplifting personality resonates with a positive energy contagious to all listeners. The comfortable lilt and cadence of her voice is captivating. It is totally refreshing to listen to her lively commentary. She would be perfect for replacement of Chris in this slot, or any slot for that matter.